We’re journeying back to Ancient Greece in today’s slot machine review. 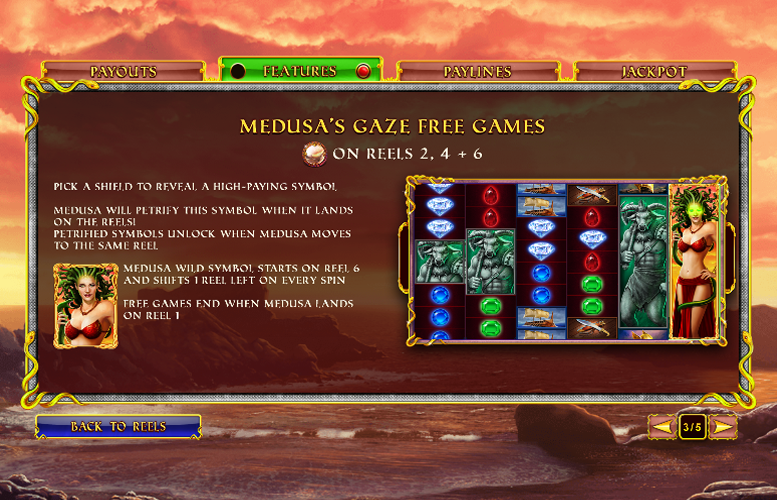 Playtech have taken inspiration from the world of mythology on Age of the Gods: Medusa and Monsters. On first look, it’s obvious that the game isn’t your standard slot. The board itself is massive for one! This allows for one of the game’s best features – huge stacked symbols! There’ll be more on that later, however. Diverse selection of special features. Although nothing too ground-breaking, there are enough different bonuses to keep players amused. Good artwork (for its day). Being a slightly older slot machine these days, Age of the Gods: Medusa and Monsters might not be as exciting to look at as some of the newer offerings, but it is still highly playable today. Innovative gameboard. Not playing on a standard five by three grid makes for a different gameplay experience entirely. Overly narrow betting range. Whilst most players won’t mind that bets below 50p or above £100 are not allowed on this machine, those playing off a tiny or huge bankroll might find the betting limits restrictive. 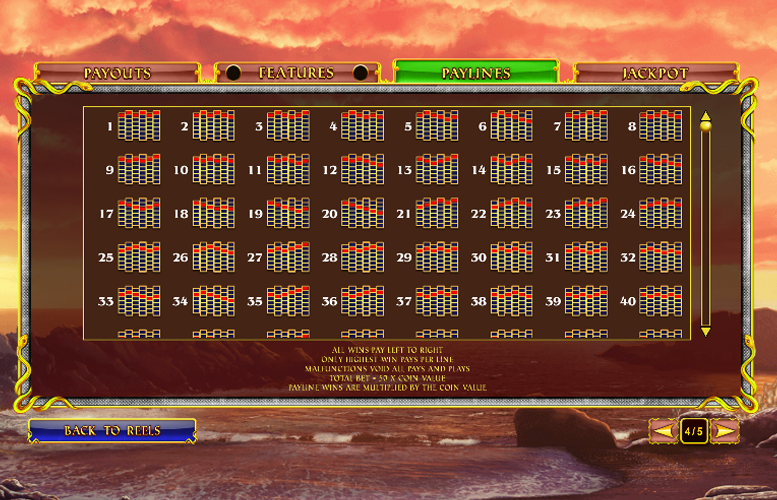 The top jackpots (from the regular paytable) on Age of the Gods: Medusa and Monsters are all awarded for matching six of the same symbols along one of the 164 win lines. The illustrations used for these higher value symbols are all inspired by Greek mythology and have been tastefully designed. Mermaid = 150x the total bet. Minotaur = 100x the total bet. Wolves = 75x the total bet. Ship, Dagger, or Helmet = 50x the total bet. However the game has a progressive jackpot which can grow well into the six figure mark meaning a life changing sum if you land it. The Medusa “Wild” Symbol will expand to fill the entire reel it lands upon. It can be substituted for any other symbol, except the “Scatter”. The game’s Scatter symbols are stacked two high on reels two, four, and six. Players who land “Scatter” symbols on each of these will trigger the Medusa’s Gaze Free Games mode. All other top jackpot symbols can appear as stacks on the reels. These can be any size between two and seven symbols high. Landing the “Scatter” symbol on reels two, four, and six simultaneously will trigger the game’s free spin mode. Once active, players must pick a shield to reveal a high paying symbol. Medusa will petrify this symbol when it lands on the reels during the free games. These petrified symbols will unlock when Medusa moves to the same reel. Medusa “Wild” symbol starts on reel six and shifts one reel left on every spin. The free spin mode will end when Medusa lands on the first reel. Numerous games are linked to the same four mystery progressive jackpots: Power, Extra Power, Super Power, and Ultimate Power. All four of these are won randomly. Any spin of any amount in the game can award entry to the jackpot game, including spins with no game wins. However, the higher the bet, the more likely a player is to trigger the jackpot game. One of the four jackpots will be awarded every time a player enters the jackpot mode. The jackpot game itself takes place on a separate four by five grid of 20 coins hidden beneath the various jackpot symbols. 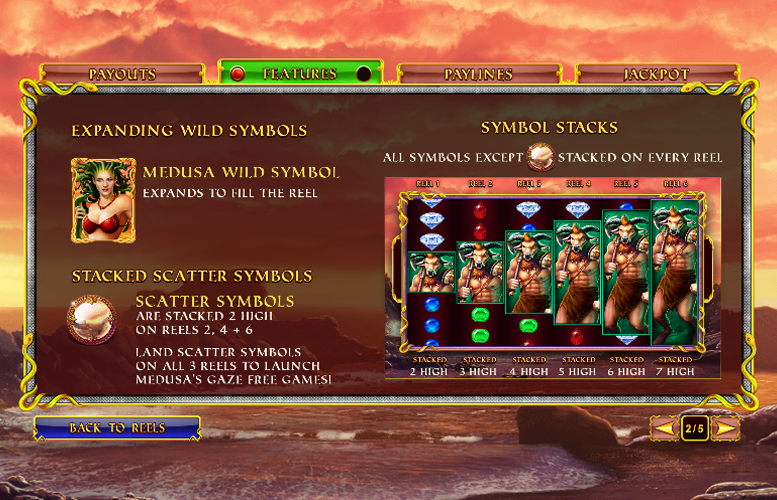 Players must click the coins to reveal jackpot symbols. Once they manage to match three of the same symbols, they are awarded the relevant jackpot. 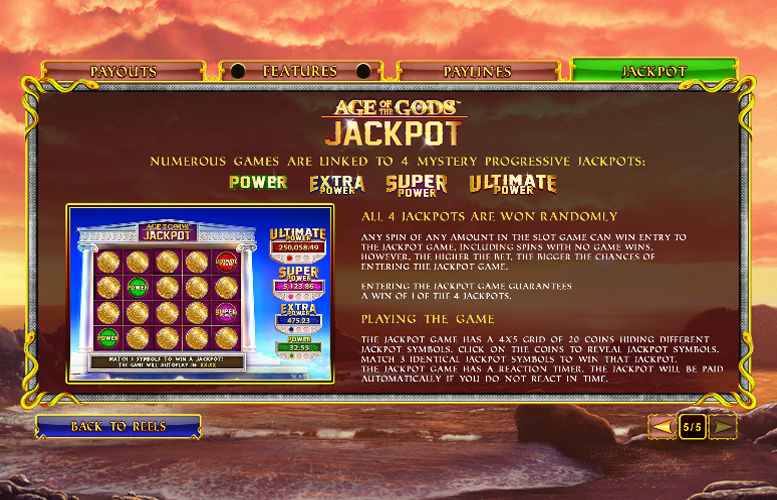 This process is automated if players do not react in time to play the jackpot game. Diamond, Ruby, Emerald, or Sapphire = 25x the total bet. Since the game is played over an unconventional board, the betting limits are somewhat unconventional for a Playtech slot machine. Rather than allow players to select the number of win lines they play, and the amount bet on each one, players are instead only able to adjust the size of the total bet. These total bet amount range from just 50p to £100. Whilst these should satisfy most players, we think that both the very lowest stake players and the highest rollers might find the limits a little too narrow. All things considered, Age of the Gods: Medusa and Monsters is a decent enough offering when looked at today. It offers players a few solid bonus features and the action unfolds on a highly unconventional gameboard. We particularly enjoyed the fact that you can win a truly life changing sum of money in the game’s progressive jackpot mode too! Overall, a good, not great, game. This game has a rating of 4 / 5 with 572 total reviews by the users.